حافظویچ, رشید. (1390). The Symbolic Language of Eikaya as the “Interpretative Miraj” of the Soul within its Existential Drama. دوفصلنامه جاویدان خرد, 07(15), 11-28. رشید حافظویچ. "The Symbolic Language of Eikaya as the “Interpretative Miraj” of the Soul within its Existential Drama". دوفصلنامه جاویدان خرد, 07, 15, 1390, 11-28. حافظویچ, رشید. (1390). 'The Symbolic Language of Eikaya as the “Interpretative Miraj” of the Soul within its Existential Drama', دوفصلنامه جاویدان خرد, 07(15), pp. 11-28. حافظویچ, رشید. The Symbolic Language of Eikaya as the “Interpretative Miraj” of the Soul within its Existential Drama. 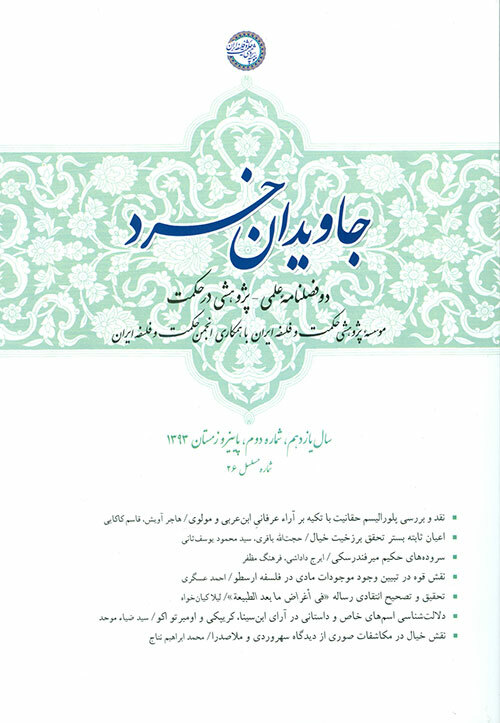 دوفصلنامه جاویدان خرد, 1390; 07(15): 11-28.